When your sliding screen door is dragging rather than sliding, it’s time to get a new screen door! The new extruded aluminum screen doors that I offer are excellent doors. They are made with a thick gauge aluminum that will not bent if someone accidentally runs into it. 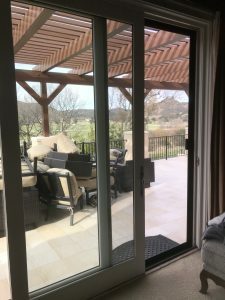 This sliding screen door is very sturdy and has heavy duty ball-bearing wheels that allows the screen door to operate very smoothly. 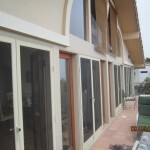 I custom built them on-site and give you a lifetime guarantee for the door. 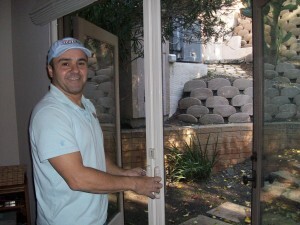 A customer in Chatsworth CA. 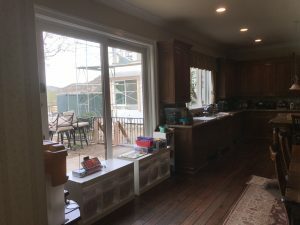 had this to say about his new extruded aluminum screen doors. Call us! if you live in Chatsworth,CA. 91311, and we will come out and give you a free estimate! 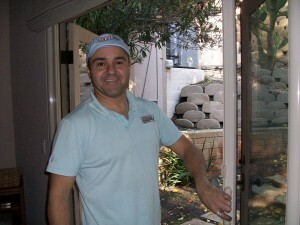 We do all the screen door and window screen installation on-site! When a customer calls for a free estimate I personally go and give it to him. I make sure the customer gets only what he needs. Some window screens are still okay and just need to be washed out. 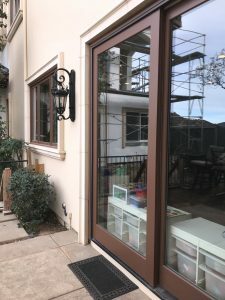 Some screen doors still work good and all they need is to be adjusted, put back on the track or the bottom track needs to be cleaned and lubricated. 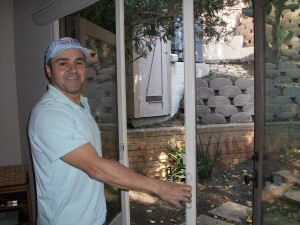 A customer in Sherman Oaks called in need of for our mobile screen service. I went out and gave him our customary free estimate. She decided to do the work and was very happy with my service. 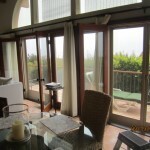 We offer a full mobile screen service for Screen doors in the Chatsworth area. Mobile Service in the following areas:Porter Ranch, Reseda, Santa Monica, Sherman Oaks, Silverlake, Simi Valley, Studio City, Sun Valley, Sylmar, Tarzana, Thousand Oaks, Toluca Lake, Topanga, Tujunga, Universal City, Van Nuys, Ventura, West Hills, West Hollywood, West Los Angeles, Westlake Village, West San Fernando Valley, Westwood, Winnetka, Woodland Hills, Valley Village, Agoura Hills, Bel Air, Beverly Glen, Beverly Hills, Brentwood, Burbank, Calabasas, Canoga Park, Chatsworth, Encino, Glendale, Granada Hills, Hidden Hills, Hollywood, Los Angeles, Los Feliz, Malibu, Mission Hills, Moorpark, Newbury Park, North Hills, North Hollywood, Northridge, Oak Park, Pacific Palisades, Pacoima, Panorama City,. The retractable screen doors are retracted. 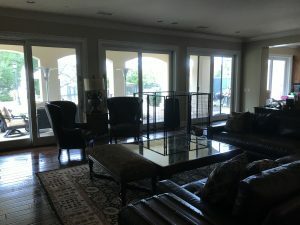 This is why they have also been named “disappearing screen doors”, “invisible screen doors”, “vanishing screen doors”, “roll-a-way screen doors”, “hideaway screens”, “mirage screen doors”, “hide away screen”. Next step grab the handle. Grab the specially designed strong ergonomic handles and pull softly, as the push bar separates from the housing you will notice a smooth, silent operation. Do the same with the other door. Pull them softly together. VIOLA! Hold the push bars together. That was easy! The two magnets on each pull bar, composed of nylon components which are heat and ultra violet (uv) resistent and allow greater strenght and durability are a spring loaded and when held together snap on firmly. 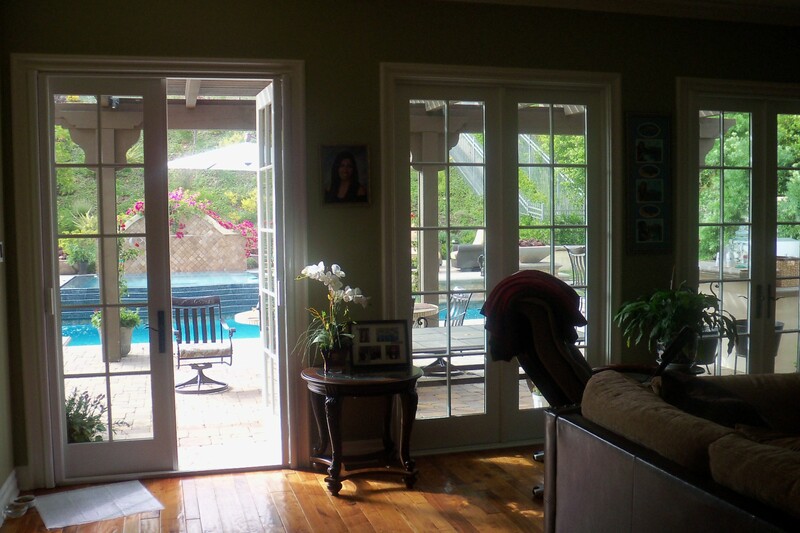 Enjoy your beautiful “Clearview retractable screen doors” today! Call for a FREE estimate and we will do the rest. We Service in the following areas: Agoura Hills, Bel Air, Beverly Glen, Beverly Hills, Brentwood, Burbank, Calabasas, Camarillo, Canoga Park, Chatsworth, Encino, Glendale, Granada Hills, Hidden Hills, Malibu, Mission Hills, Moorpark, Newbury Park, North Hills, North Hollywood, Northridge, Oak Park, Pacific Palisades, Pacoima, Panorama City, Porter Ranch, Reseda, Santa Monica, Sherman Oaks, Silverlake, Simi Valley, Studio City, Sun Valley, Sylmar, Tarzana, Thousand Oaks, Toluca Lake, Topanga, Tujunga, Universal City, Van Nuys, Ventura, West Hills, Westlake Village, West San Fernando Valley, Winnetka, Woodland Hills, Wood Ranch. 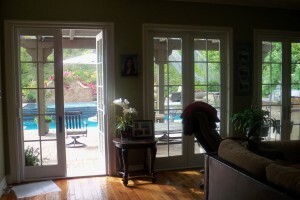 Enjoy your beautiful “Stowaway retractable screen doors” today! Call for a FREE estimate and we will do the rest. We Service in the following areas: Agoura Hills, Bel Air, Beverly Glen, Beverly Hills, Brentwood, Burbank, Calabasas, Camarillo, Canoga Park, Chatsworth, Encino, Glendale, Granada Hills, Hidden Hills, Malibu, Mission Hills, Moorpark, Newbury Park, North Hills, North Hollywood, Northridge, Oak Park, Pacific Palisades, Pacoima, Panorama City, Porter Ranch, Reseda, Santa Monica, Sherman Oaks, Simi Valley, Studio City, Sun Valley, Sylmar, Tarzana, Thousand Oaks, Toluca Lake, Topanga, Tujunga, Universal City, Van Nuys, Ventura, West Hills, Westlake Village, West San Fernando Valley, Winnetka, Woodland Hills, Wood Ranch. 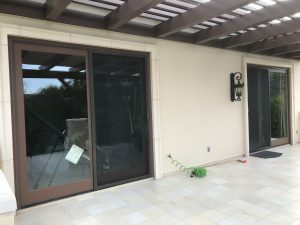 I installed 2 screen doors in pacific palisades for a customer that was looking to upgrade her existing roll form door to extruded aluminum screen doors. She complained that they where not sliding good andhad to struggle with them all the time. We recommended Extruded Aluminum Doors. This is what she had to say “I love these new extruded aluminum screen doors! They feel so solid and have a smooth glide. I really liked your professional service, you where on time for both the free estimate and the insatallation. I will recommend you to my Family and Friends. 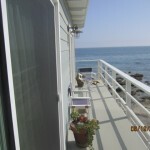 Thanks Henry” Dana Hudson, Pacific Palisades, CA. Roll-formed sliding patio screen door frame is the less costly form of screen door frame that many builders use on new homes. 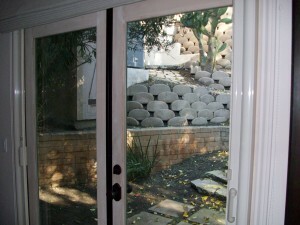 Try to avoid roll-formed screen door frames if you are buying a sliding patio screen door replacement. 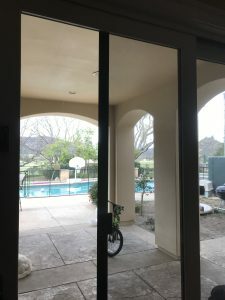 Roll-formed screen doors are inexpensive but they are also flimsy. They won’t stand up to someone walking into the screen, they will usually bend. It’s next to impossible to fix a badly bent roll-formed screen door. 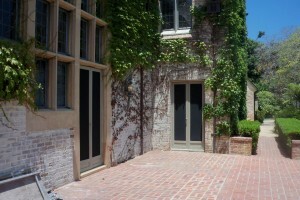 Roll-formed screen doors are most often made of aluminum. The aluminum used in roll-forming is usually quite thin and bends easily. By forming the aluminum into the shape shown it makes it stronger but the aluminum is still so thin it doesn’t hold screws very well, and doesn’t hold its grip when the corners are installed which hold the door together. 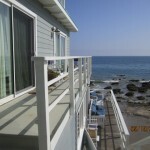 There are some roll-formed screen doors that are made from steel. This gives a great improvement in strength but it does make the door heavier. A steel roll-formed door needs ball bearing rollers to support its weight. Usually steel roll-formed doors just come with plastic rollers which won’t last long. 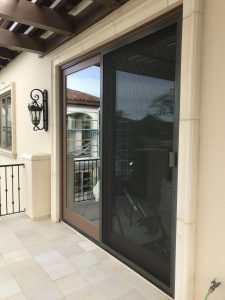 In order to get around the problem of having to custom fit each screen door to the patio door height, some roll-formed door companies are using an adjustable plastic “shoe” at the bottom of the screen door. There are long slots in the shoe with screws which you tighten after you have adjusted the shoe to the correct height. The problem with this system is the “shoe” often catches on part of your patio door when you try to open the screen door. The shoe also has only room for the cheapest of plastic rollers which don’t have springs to keep them on the track as the door opens. 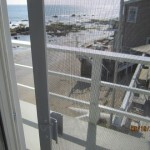 Extruded patio screen door frame is the style of frame you do want to buy. These use more aluminum and are more costly but they are much stronger than roll-formed screen door frames. The strength comes from the thicker aluminum and the design of the screen frame itself. Extruded patio screen door frames also stand up to someone walking through the screen door a lot better. Usually the worst that happens is the whole door just pops out and you have to put it back on again. Extruded screen doors are usually supplied with much better rollers which have springs to keep the rollers on the track as the door opens. The extra strength and stiffness of the door holds brackets and corners much better. The thicker aluminum profile allows room for locks to be installed. 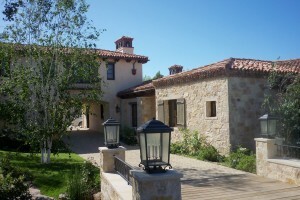 Mobile Service in the following areas:Agoura Hills, Bel Air, Beverly Glen, Beverly Hills, Brentwood, Burbank, Calabasas, Canoga Park, Chatsworth, Encino, Glendale, Granada Hills, Hidden Hills, Hollywood, Los Angeles, Los Feliz, Malibu, Mission Hills, Moorpark, Newbury Park, North Hills, North Hollywood, Northridge, Oak Park, Pacific Palisades, Pacoima, Panorama City, Porter Ranch, Reseda, Santa Monica, Sherman Oaks, Simi Valley, Studio City, Sun Valley, Sylmar, Tarzana, Thousand Oaks, Toluca Lake, Topanga, Tujunga, Universal City, Van Nuys, Ventura, West Hills, West Hollywood, Westlake Village, West San Fernando Valley, Winnetka, Woodland Hills, Wood Ranch, Valley Village.